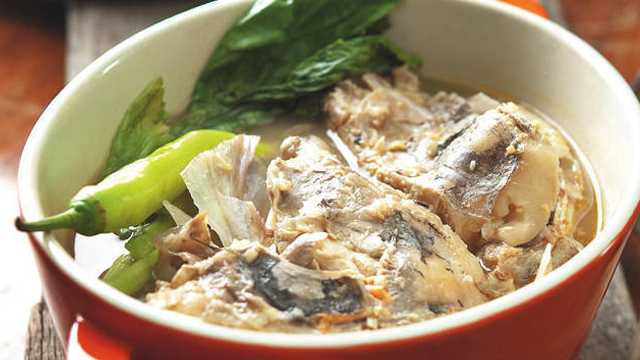 Sinigang is a popular Filipino soup dish made from the extract of the sampaloc or tamarind. Its flavor is bolstered by the savory notes from the meat chunks, the freshness from the okra, kangkong, labanos, and sitaw, and maybe made even better with gabi or miso paste to give it even more flavor that it already has. 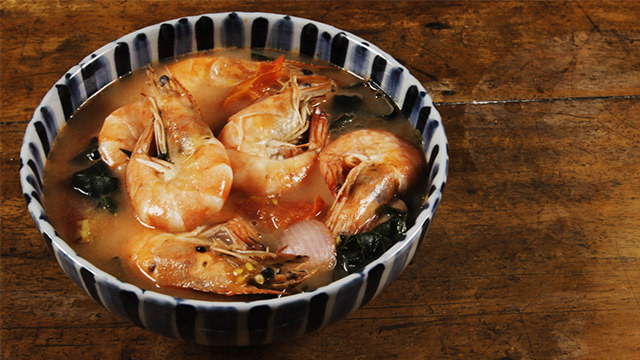 What Is Miso And How Do You Use It In Sinigang? 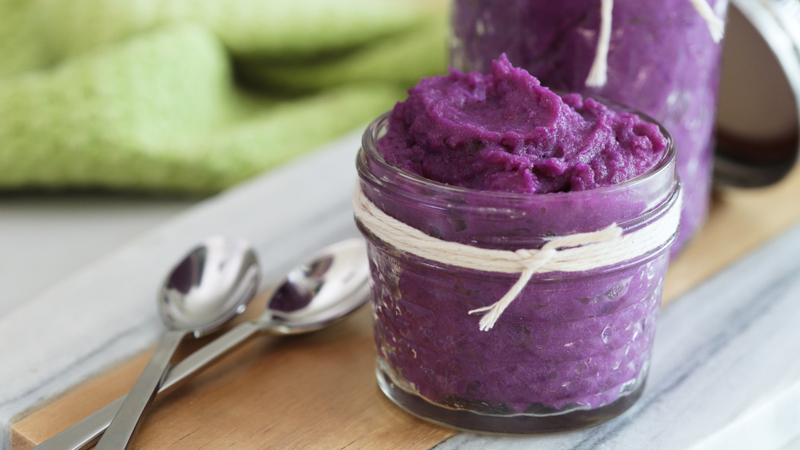 Miso is the delicious Asian ingredient you need to use more often in your cooking. 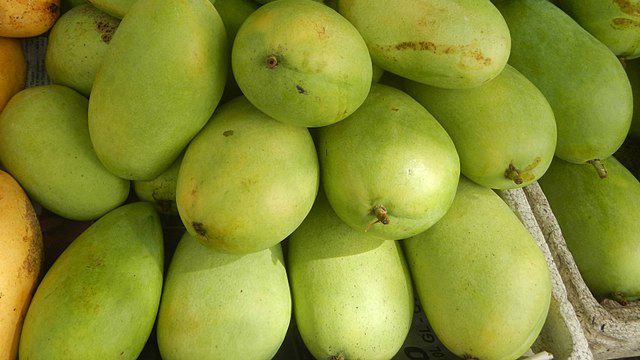 While it’s easy to grab a pack of a pre-made sampaloc mix from the supermarket, we think you should take advantage of the summer months by using green mango or manggang hilaw. While it’s still green and plentiful, grab a large one to use in your next sinigang recipe that’s just as sour and tasty as if you used a sampaloc mix. If you think about it, the green mango is just as tart – or even tarter – than the sampaloc which can have a tendency to be a little sweet if you’re using fresh sampaloc. Not only that, it’s harder to prepare: you have to remove the seeds and any stray twigs that may be stuck to the sampaloc. You'll also have to strain the mixture before you have the sampaloc broth that you can use for your sinigang. 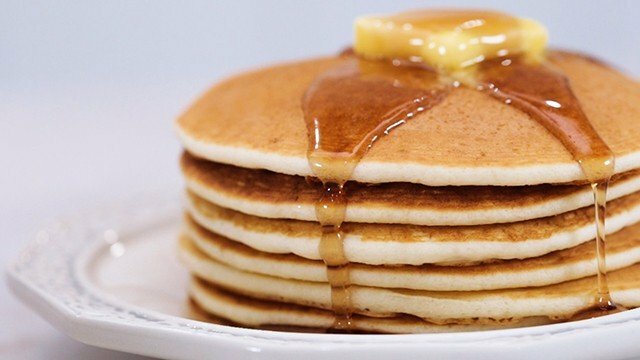 It can be a longer process if you're looking to cook something from scratch. 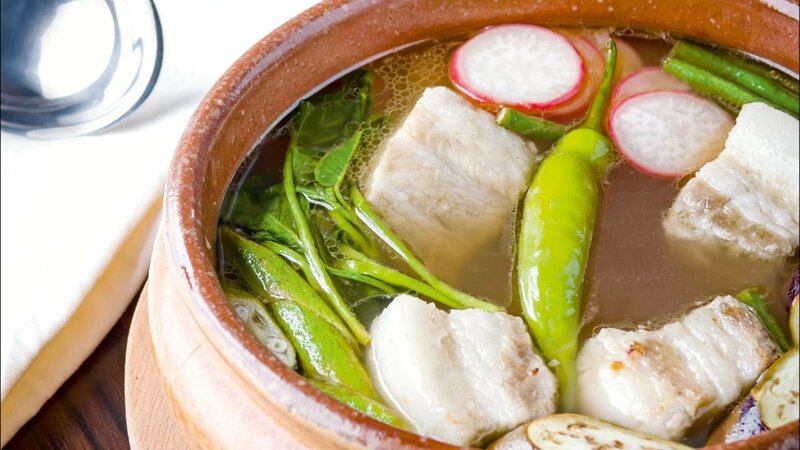 Cooking a sinigang recipe using green mangoes, however, is more effortless and results in a similarly tangy soup that we think is just as delicious. The green mango is easier to prep and peel. Just cut off the flesh from the large seed and add it to the simmering sabaw. You’ll see that the mango slices disintegrate into the soup easily as it simmers. All you’re left with is its flavorful sourness. Choose a large green mango. Peel it, and then remove all the flesh from the large seed. Thinly slice any large chunks. 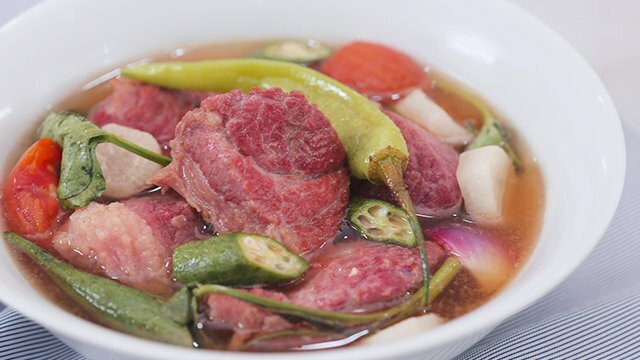 When ready to use, prepare sinigang as you normally would, but instead of adding the sinigang mix when ready to simmer the meat or the labanos until tender, add the sliced green mango instead. Bring to a boil and then simmer with the meat until the mango slices disintegrate into the soup and the meat and other vegetables are tender. 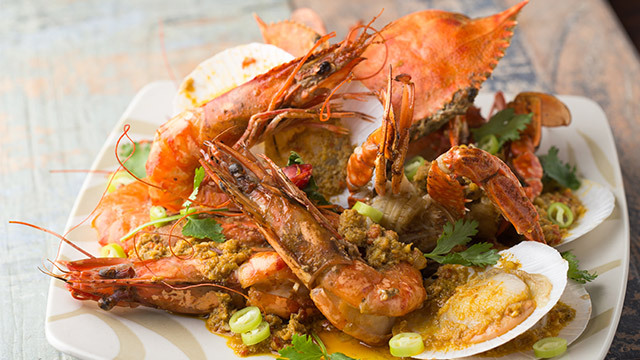 Season to taste with patis, and serve while it's still hot. 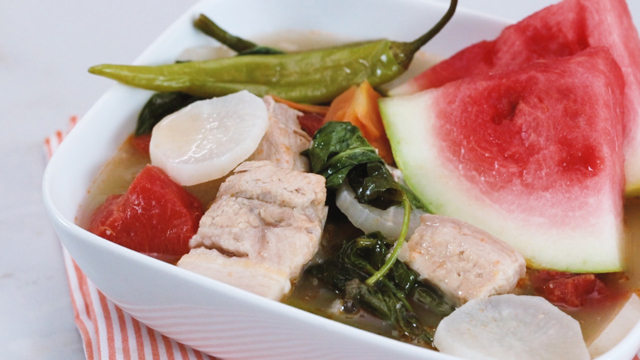 Once you try this amazing version of the sinigang recipe, taking advantage of the green mangoes this summer would not be so bad to do after all.